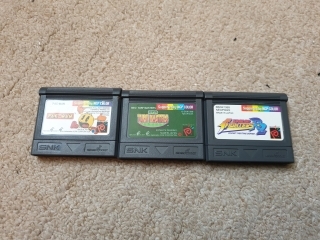 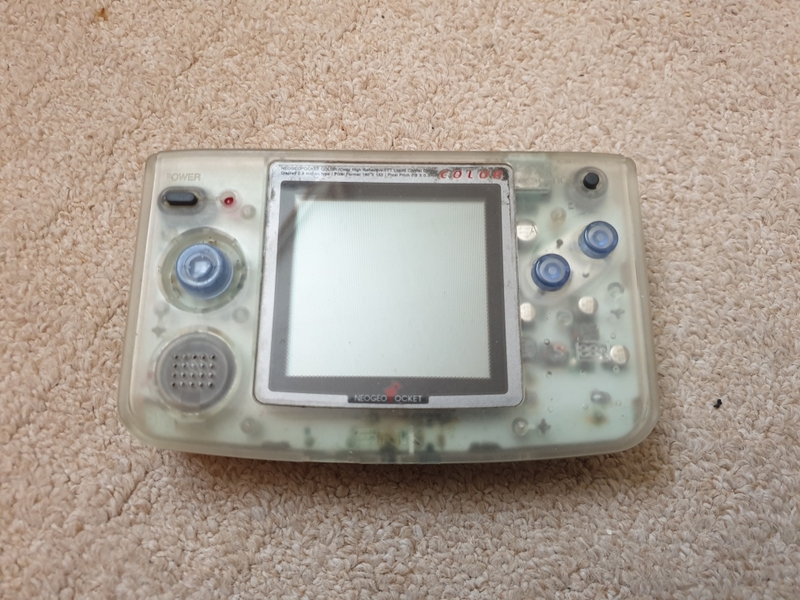 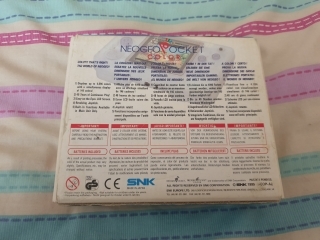 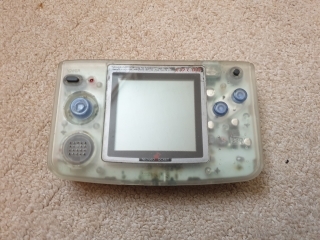 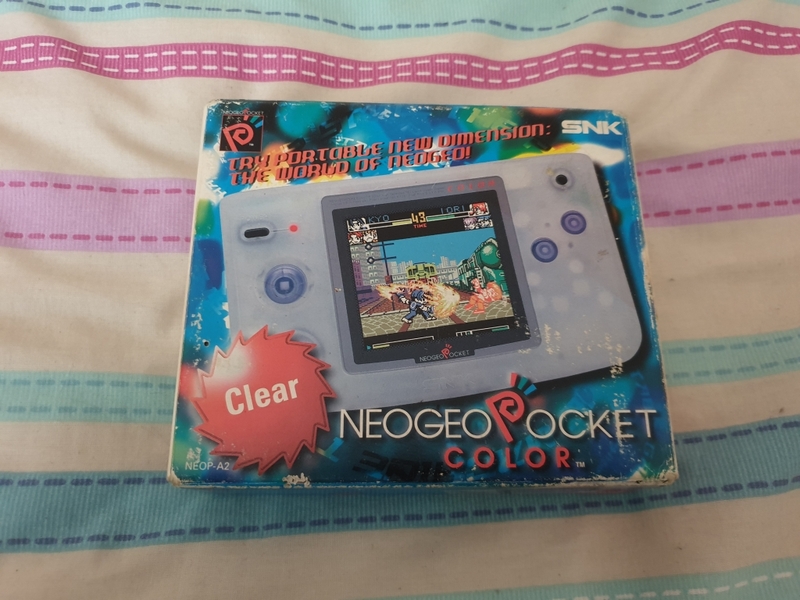 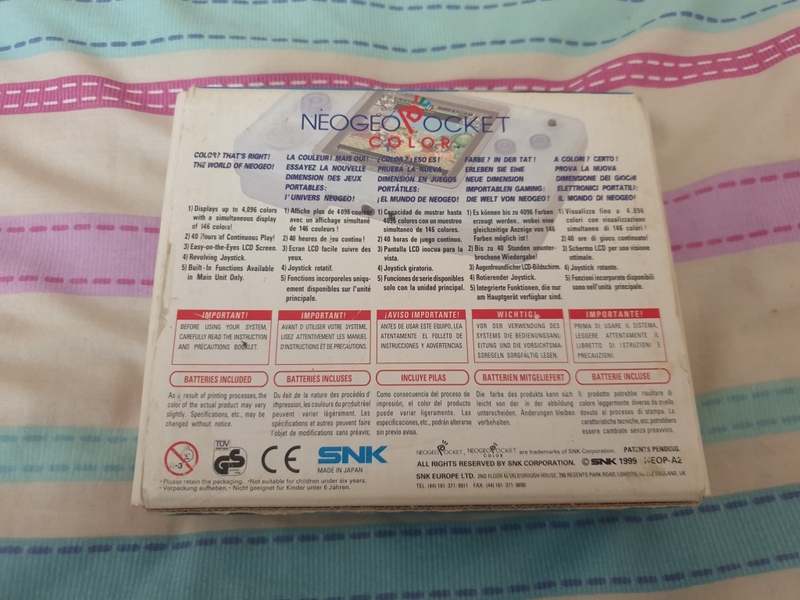 This is my NeoGeo Pocket Color. It was working when put into storage, but now does not power on, I suspect leaky batteries have damaged the board. 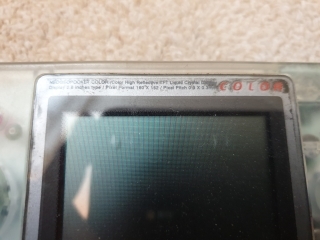 Printed along the top of the unbacklit screen are the screens specifications. 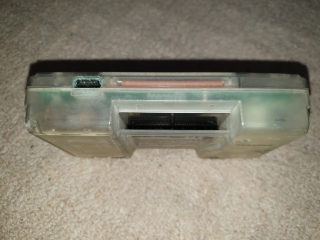 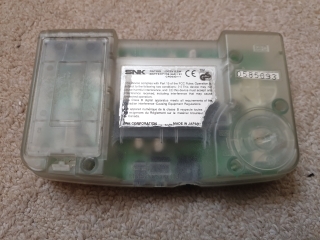 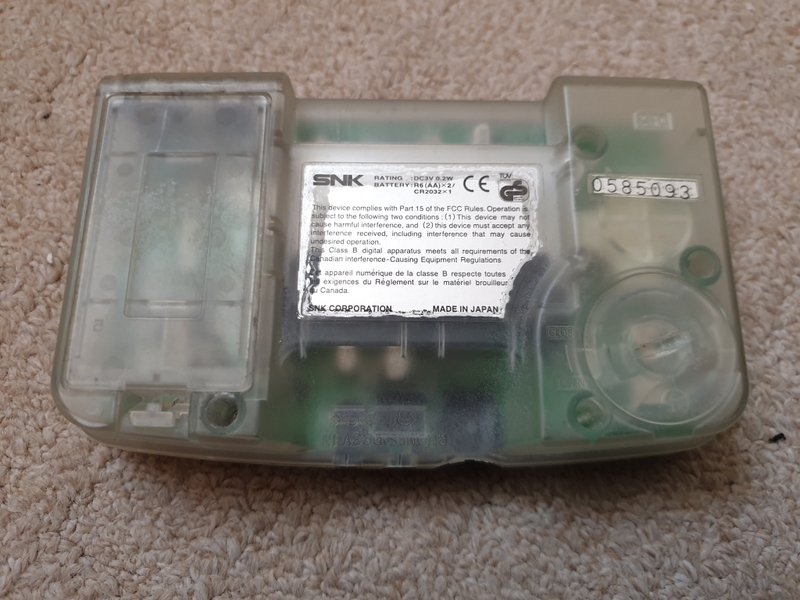 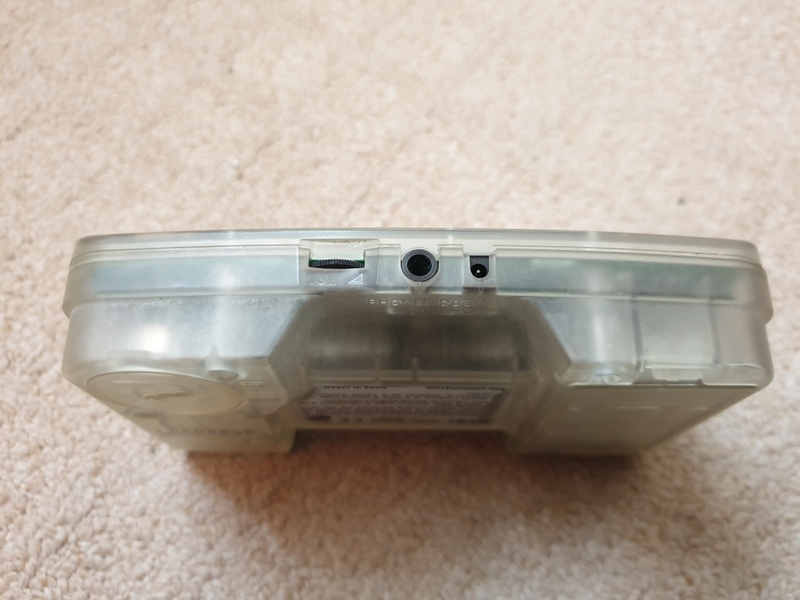 The rear of the unit contains the cartridge slot and two battery compartments, one for two AA's and the other for a CR2032 battery to keep the internal clock running and game data safe. Some games could modify their behaviour depending on the time and date.